Picture this scenario: after weeks of production at the factory and hundreds of emails and phone calls, your cargo is finally ready to ship from the manufacturing country to the US. You are rushing against the clock, working diligently to deliver to your customers. At first, everything seems to be going well; your cargo arrives at the destination port, then all of a sudden, your customs broker is advised that your shipment is on Customs Hold. But what does this mean, and what happens next? With thousands of tons of cargo coming into the country every day, it is the responsibility of US Customs and Border Protection to stay on top of regulating restricted, illegal, or even improperly packaged cargo many import shipments are flagged, putting process on hold and potentially subjecting the merchandise to an exam. Now, the easiest way to reduce your risk of CBP flagging your cargo is to take the necessary precautions to make sure everything meets regulation. We can give you some tips to help make sure you check all the right boxes before importing goods into the US. However, there may be times where your cargo is randomly selected, or something about it prompts Customs to inspect it. When this happens, it can help to know what the process may be and what may happen next. Where Does Flagged Cargo Go? If Customs holds your cargo, two things may happen: an agent will perform the inspection at the arrival destination, or the merchandise will be transported to a Centralized Examination Station (CES). Unfortunately, in addition to delaying your cargo from arriving in a timely fashion, having it inspected could mean extra fees for you. 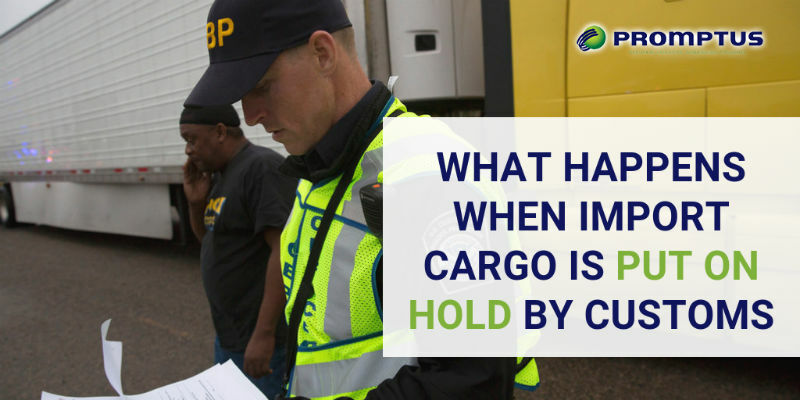 The CBP will notify you when placing a hold on your cargo, and during the waiting period, you will be able to contact CBP directly or through your customs broker. When cargo is imported into the United States, it is subject to specific rules. For example, certain foods, animals, or hazardous materials must be handled in a certain way or may be banned entirely from entering the country. In other cases, there are requirements for the type of paperwork, packaging, or labeling that must be followed and were not appropriately met. If your cargo gets held for further inspection, you will receive a letter from the Customs and Border Protection agency informing you of the type of hold it is and what is needed from the importer to move forward. Manifest Hold: If your shipping documents, such as the manifest or bill of lading, are missing, incorrect, illegible, or need to be verified. Commercial Enforcement Hold: This is a blanket term that can refer to any hold placed by Customs or another alphabet agency. 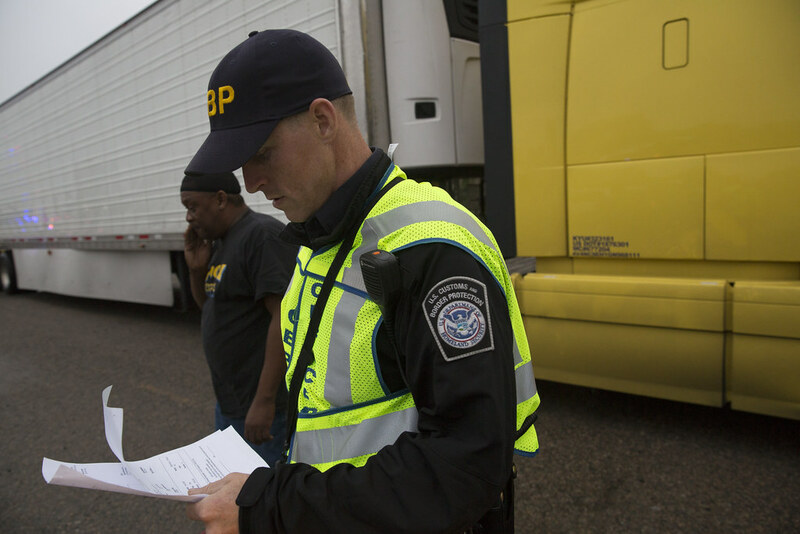 A CBP agent can also set a commercial enforcement hold on your cargo if additional verification is required for copyright, trademark, safety standards, or licensing. Statistical Validation Hold: If there are discrepancies between your shipping documents and the actual cargo, such as different weights, values, or commodity declarations. Once a CBP agent has flagged your shipment for holding, they must perform an examination. As we stated above, they have around a month to complete this. As per Customs laws, the exam must occur at the place of arrival, unless the port director or similar authority states otherwise. VACIS/NII Exam: Respectively, this stands for Vehicle and Cargo Inspection System Exam and Non-intrusive Inspection. This exam the easiest, cheapest, and fastest, as it merely requires that your goods go through a giant x-ray machine, giving the CBP agents a better look at its contents. Tailgate Exam: This is another simple test, in which the Customs agent handling the inspection opens the freight container and performs a brief visual check of the items inside. Intensive Exam: This is the ‘full monty’ – meaning your merchandise will be thoroughly inspected at a CES location. The entire cargo container will be taken to a private corporation previously appointed by CBP, where it will be unloaded, sorted, and stripped. The Customs agents may take samples, if necessary. All in all, this process can take up to a few weeks if Customs is dragging their feet, which could result in additional storage fees for importing party. Ocean shipments typically come back in 2 – 5 days for x-ray and tailgate exams, and 5 – 7 days for intensive inspections. When transporting cargo via airfreight, however, the wait times may be shorter. Need Help? Hire A Customs Broker! Having trouble understanding the requirements for importing goods from another country? We can help! We are a global logistics company that offers freight forwarding services to companies all over the world. In addition to various freight transportation options, we can help organize distribution and warehouse storage and issue you a licensed Customs Broker to help sort through any necessary paperwork that is needed for your shipments. If CBP holds your cargo, our Brokers will help you understand the type of hold and what kind of fees you may be subject to pay. Contact us today at (305) 687-1405 to get a Free Quote for our services!